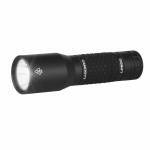 This handheld tactical flashlight is a top seller for LUX-PRO. This police flashlight for sale features our LPE optics based on an ultra-bright advanced CREE LED giving it an extremely bright 350 lumen output on HIGH. This 350 lumen flashlight has a multi-function tactical tail cap switch for on/off and transitioning through 3 modes: HIGH, LOW, & STROBE. This tac light for sale comes loaded with 4 AAA high quality alkaline batteries. 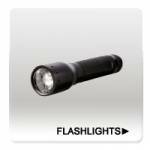 This tactical police flashlight features a very comfortable ru..